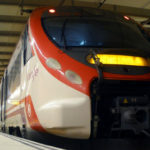 In MalagaTransfer.co.uk we specialize in this type of transportation services. We offer a solid transfer pick up from Malaga airport, helping you with your luggage and providing a comfortable transfer to your hotel on the Costa del Sol. Our drivers will talk to you in perfect English while enjoying the journey in a luxury car at a very competitive price. How originated the term Costa del Sol? Later and from the late 40s, the well-known newspaper Diario Sur began to echo the word and use it frequently.Having reached the sixties when speaking of the Costa del Sol they referred to all the coastal towns of Andalucia that are bathed by the Mediterranean Sea. 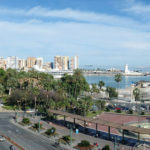 But years later, and until today the term is limited to the coast of Malaga while the other two provinces involved are known as Costa Tropical for Granada and Costa de Almeria for Almeria. In the early 50s the Costa del Sol became known in Europe; British and German tourists soon became attracted by the beaches and the excellent climate of the coast of Malaga. The Costa del Sol can be divided into three parts: the western Costa del Sol, the central part where is located Malaga city and finally the eastern Costa del Sol. 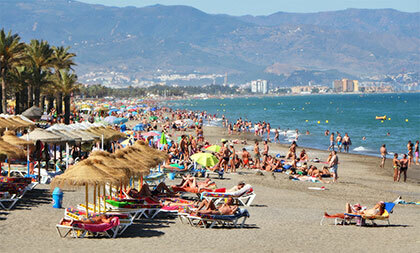 The region encompassing the Costa del Sol is famous for concentrating up to 35% of the tourism in Andalusia. In general, the whole of the Mediterranean coast enjoys fantastic weather all year round, with average temperatures around 19°C and over 300 days of sunshine. Other aspects that characterize the Costa del Sol are: The gastronomy rich in fish, meat and vegetables, the kindness and sense of humour of its inhabitants, the wide range of leisure and entertainment, beaches and extensive history left by ancient civilizations that occupied the Costa del Sol in the past.